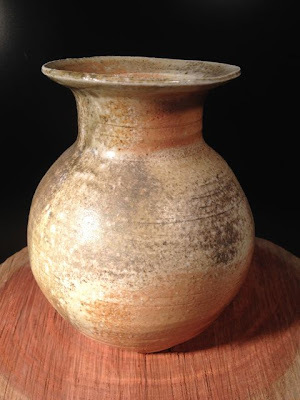 Our students opened the kiln yesterday [we fired it before Pesach,but have been on holiday since]- Gunn says it's the best firing yet,and she may be right: good results throughout the kiln,minimal mishaps,happy students and some fine pots. I was very pleased with my haul,some of which are here. 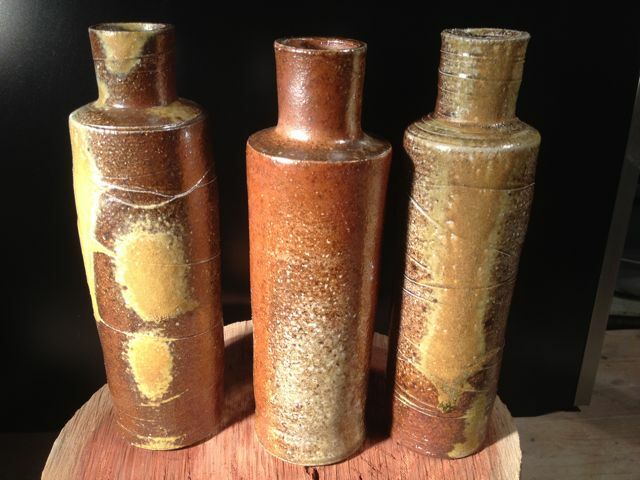 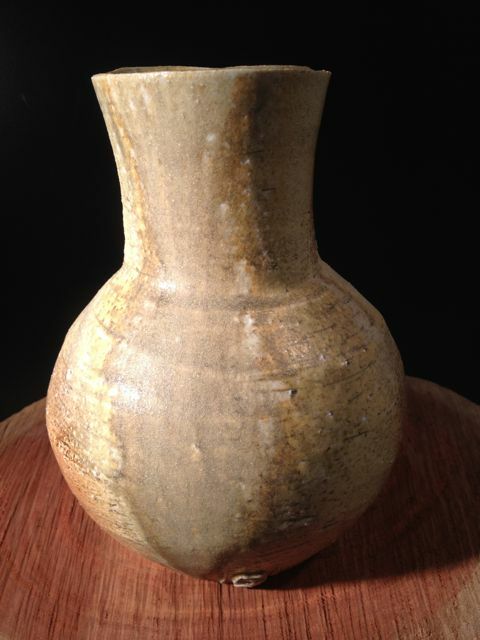 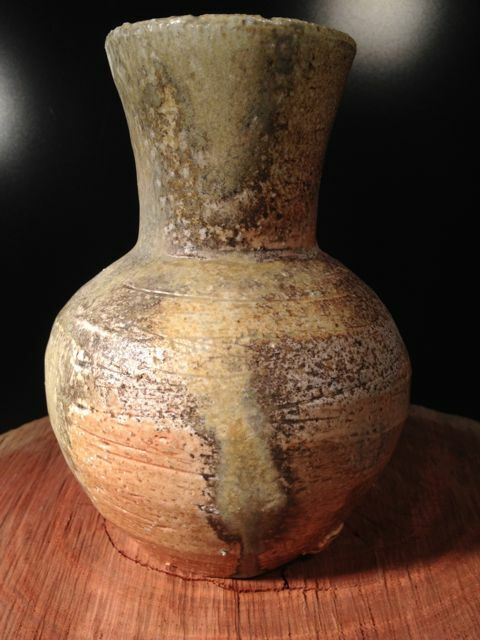 The top three bud-vases are mixtures of clays based on our French stoneware,the bottom three mixtures based on Coleman porcelain and Meir's anagama recipe.